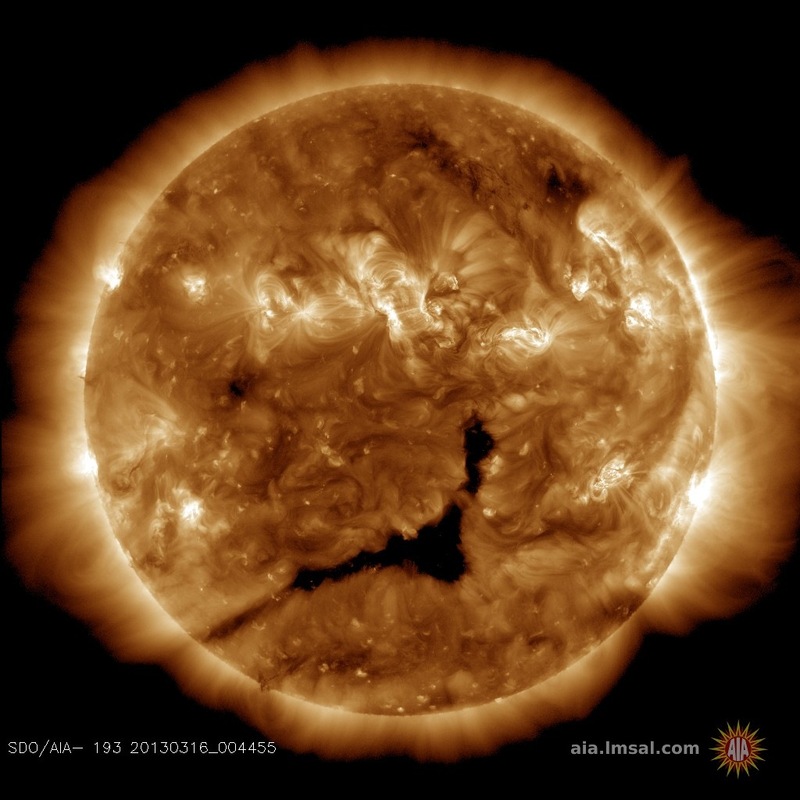 A coronal hole, seen as the large dark region in the center of this image, is spewing solar wind in the direction of Earth (Credits: NASA SDO/AIA). On March 15, a strong Coronal Mass Ejection spat solar material straight at Earth. The geomagnetic storm arrived on March 17. Rated as a G1 level storm, it did not have any disruptive electrical impacts, but did expand the auroral circle from the North Pole as far south as the northern United States and mainland Europe. Spaceweather.com reports that solar wind in the region increased from 300 km/s to 700 km/s as a result of the CME. Aurorae are expected to continue over the next few days as the storm plays out. On March 19-20, more solar excitement can be expected as accelerated solar wind from a massive coronal hole reaches Earth.